I usually react in disgust seeing someone wear CCCP related t-shirts in America...feel free to wear your Karl Marx shirt to make your political statement about communism but no one should promote the horrors the USSR [CCCP in Cyrillic] did to the Russian, Ukrainian, and all the people of the Eastern bloc. 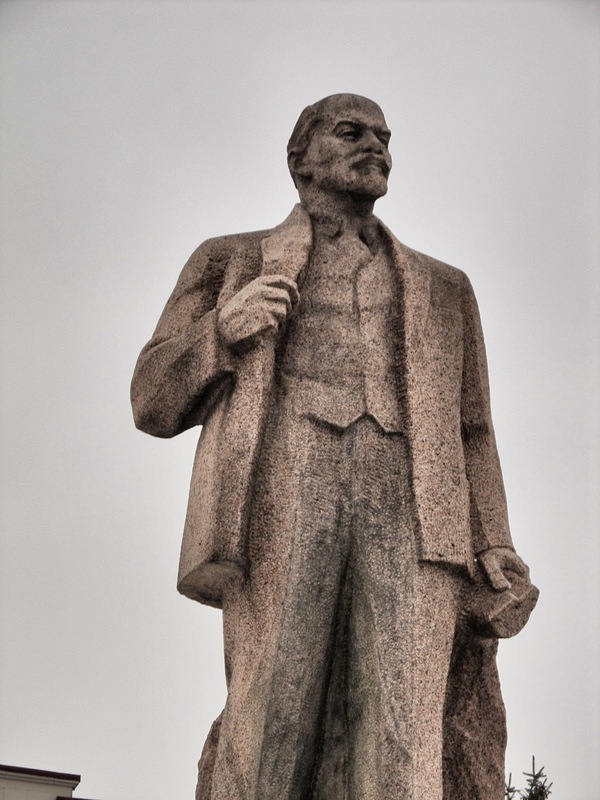 Nevertheless, in my travels I can't help but stop and look whenever a great big Lenin statue comes into view or when we find a monument honoring the Communist history of the city or region. 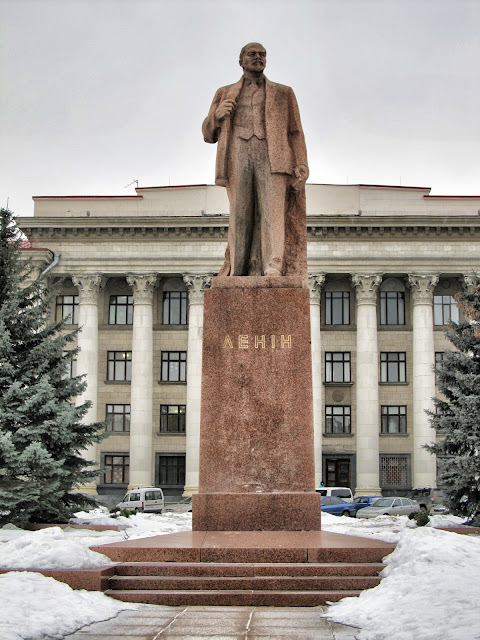 This Lenin statue is located in Zhytomyr which is also home to my favorite Ukrainian museum and future blog post topic, Korolyov Cosmonaut Museum. 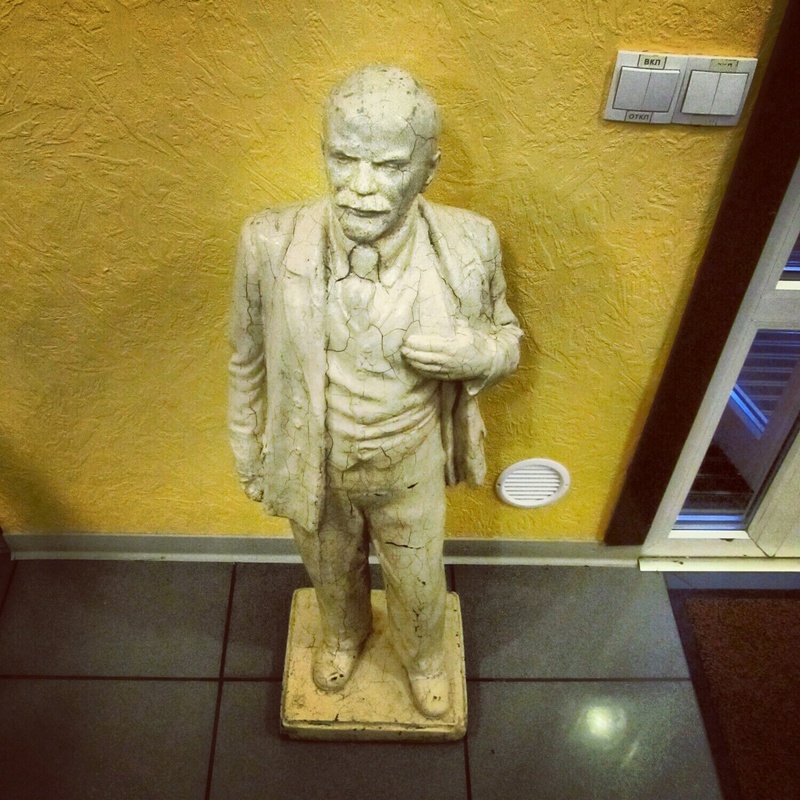 We came upon this mini Lenin in a restaurant in Zhytomyr as well. This Lenin stares at you while you get off the subway in Kiev. 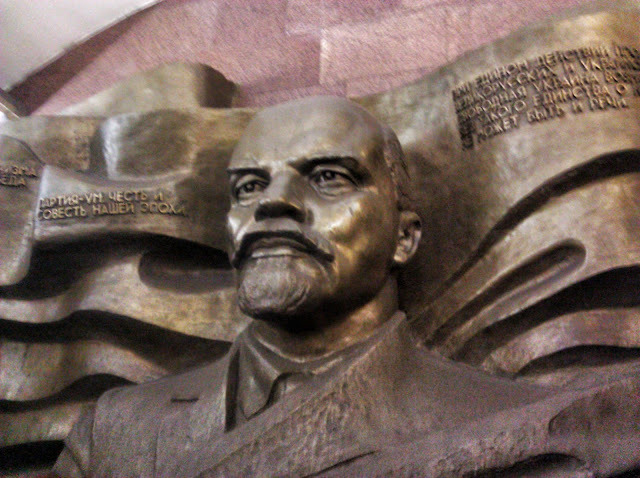 You're not supposed to take photos in the subway but sometimes I like to live dangerously. 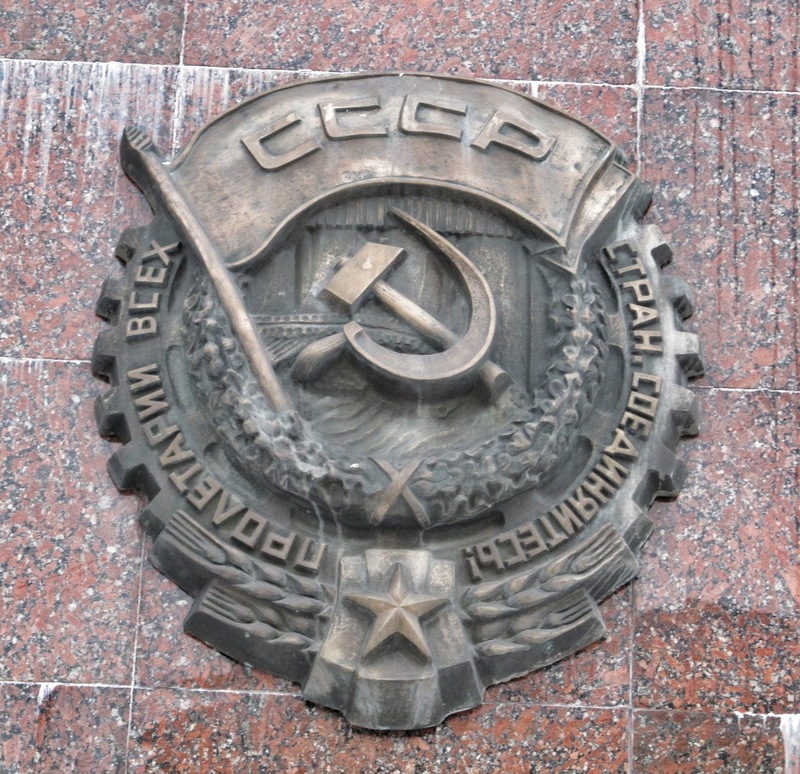 I can't remember exactly where I snapped this CCCP emblem. 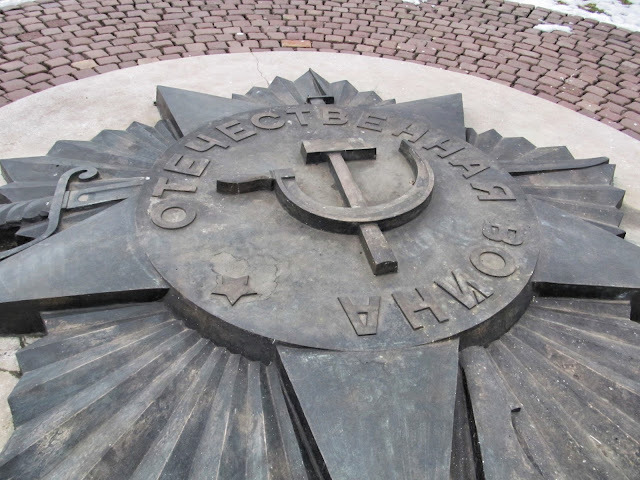 This hammer and sickle was at a soldier war memorial in Lychakiv Cemetary in Lviv.